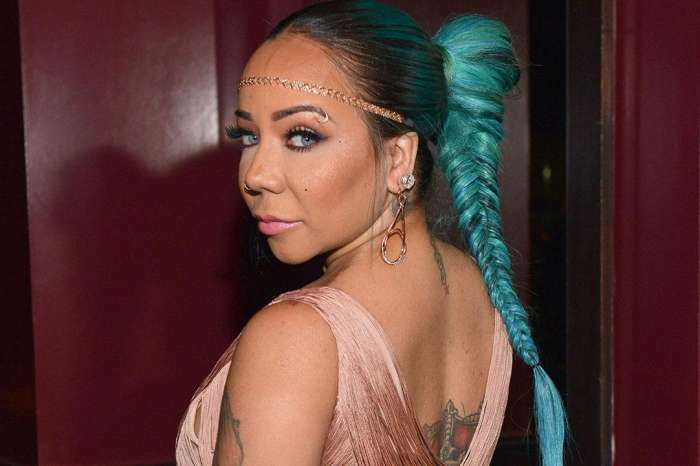 It seems that Tiny plans to go solo if things don’t work out with Xscape. It’s true that the girls are currently having the time of their lives during their tour, but it’s not perfect. Thank you Miami for an amazing night! You guys sung every word song after song. Thx to my girl @trinarockstarr for shutting ? down & of course the Mayor of the city @trickdaddydollars & @sammiealways had the crowd lit too!! So much love for The Great Xscape Tour in Miami????? They love the fact that they’re back on stage and performing to tens of thousands of fans each show. But it’s possible that the whole drama from the past few weeks might have caught up with them. It looks like there is still tension in the band and this pressure comes from Kandi Burruss who has already decided that after their tour comes to an end she will move on with her life and she will not make new music with Xscape anymore. Kandi is currently preparing for her role in the Chicago musical from next year. This also translates in the fact that Tiny, Tamika Scott and LaTocha Scott would be the only three members of the group and it seems that Tiny does not like the way that things have been going without their fourth group member. Tiny already recorded some music with LaTocha, and they plan to promote the new material starting from 2018. God has his hands all this group! Selling out arena’s everywhere! As they gave us this plaque she said that there hasn’t been an urban act that has sold out their arena in a very long time!! As this tour goes on things just keep getting bigger & better!! Thankful for all our Blessings! Bossier City you were lit tonight! Packed house!! ??????????? Since Tiny is back on the road, she is the happiest woman because she just loves to travel with her kids and perform in all kinds of places. Tiny spent so many of her years just staying at home and taking care of T.I.’s businesses and she forgot about her own career. Tiny still wants to continue performing and singing, and if things don’t work out as planned, she will go solo. Music is still her passion, and she wants to remain in the music industry and make her position even stronger. 'Teen Mom' Briana DeJesus Planning For Baby No 3 Before Javi Marroquin Deploys?